Taking a cue from their studio across town, the Warner Bros. Studio has been making strides lately in the theme park side of entertainment, heavily upgrading and promoting their studio tour and running a successful Halloween event for the last two years. 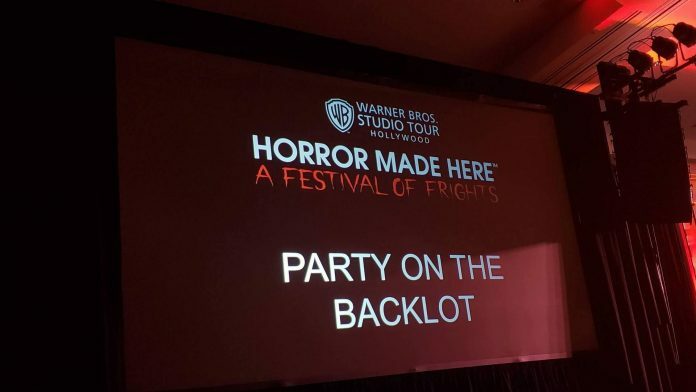 From their panel, it was clear the Warner folks were proud of their event. 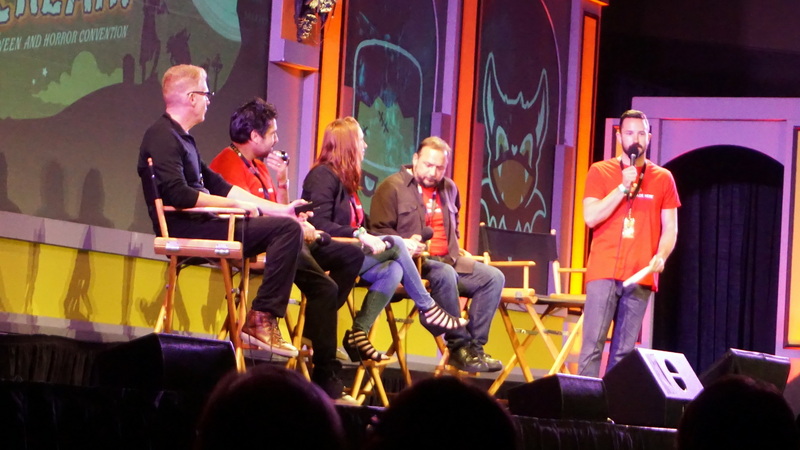 They strongly stressed how they wanted to avoid the conga lines by keeping crowds small, bringing this point up many times throughout the panel. 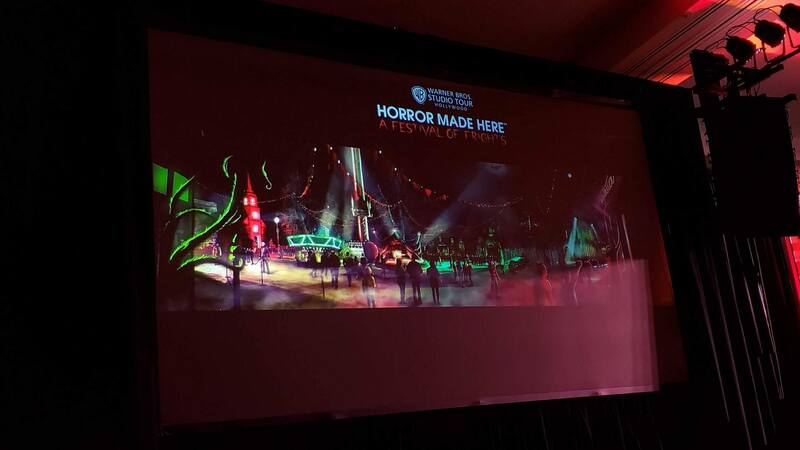 It also takes place entirely on the backlot, a transformed backlot, feeling like a party, or a festival of frights, as they put it. 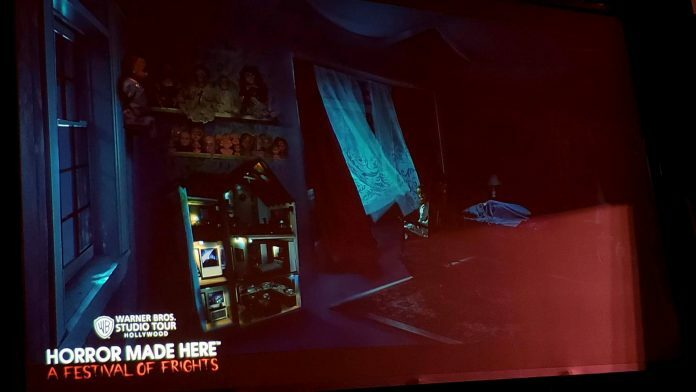 The first thing that comes to mind as these mazes were revealed is how much of them have been licensed out before to other places. 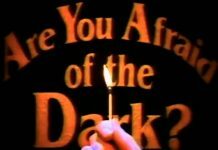 The DC characters are famously licensed to Six Flags, while Universal Studios has been given access before to Freddy, Jason, The Exorcist and more. 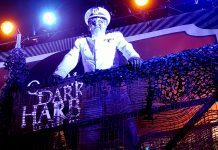 What that holds for the future seems concerning for those other parks if Warner Bros. is able to hold their own; especially once Disney locks down Fox, likely holding back classics of Alien and Predator from making future appearances. But let’s get to what we came for – maze announcements. 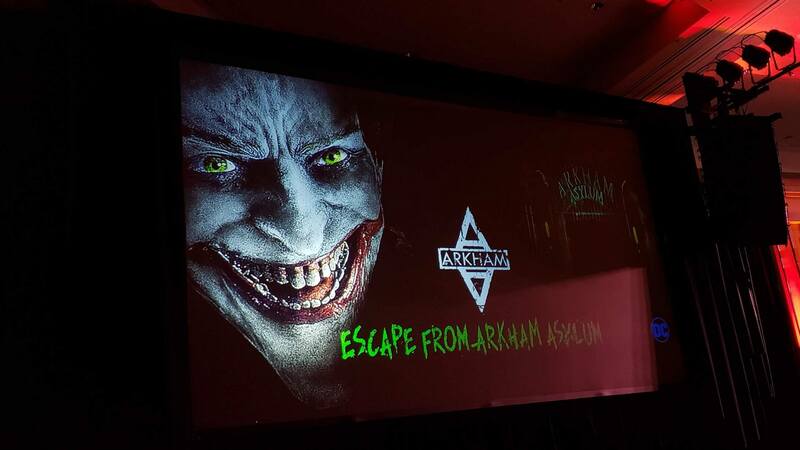 One of the two big ones is an Arkham Asylum maze, featuring the Joker – based on the Rocksteady-developed series of Arkham video games. 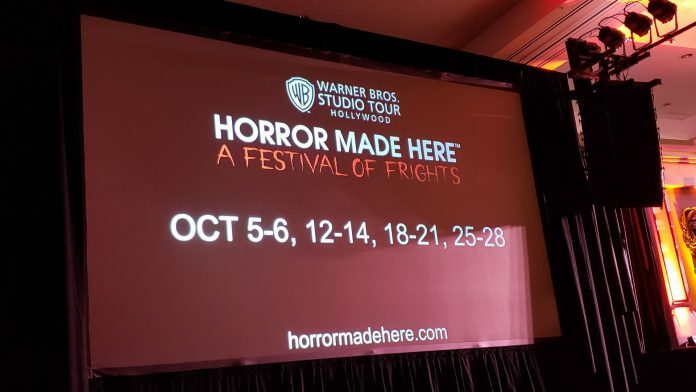 It’s been a long time, outside of a Five Nights at Freddy maze in Vegas, that a video game has become a Halloween maze, so it’s an encouraging change that we hope to see become a trend, especially as Warner Bros. has a large stable of video game IPs to pull from, including Mortal Kombat. 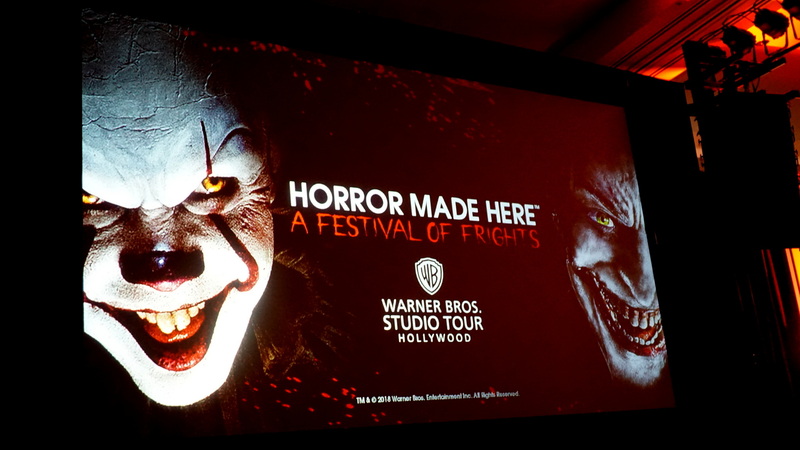 Famous for their house in Hollywood, which was incredibly hard to get into, it will be a full maze here on the backlot. 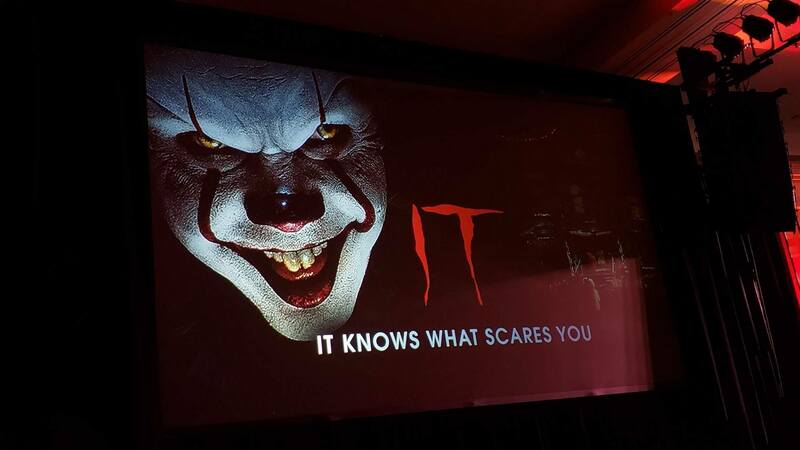 And yes, Pennywise will be around, to scare you like you need it. 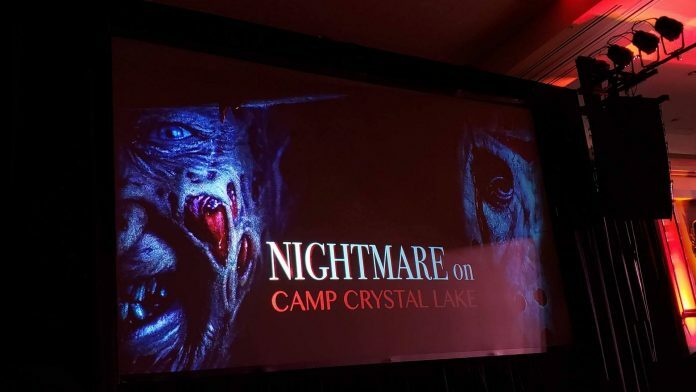 On top of that, there’s a Freddy vs. Jason mashup affectionately titled “Nightmare on Camp Crystal Lake” that will be a real treat. This will likely be the most interesting maze as it will undoubtedly draw comparisons to efforts made years earlier at Halloween Horror Nights. 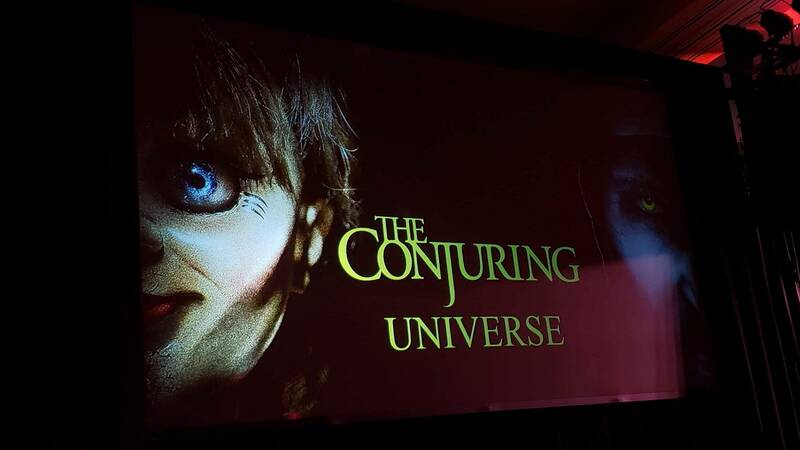 Finally, The Conjuring Universe builds upon last year’s Conjuring maze, taking it further into Annabelle’s world. 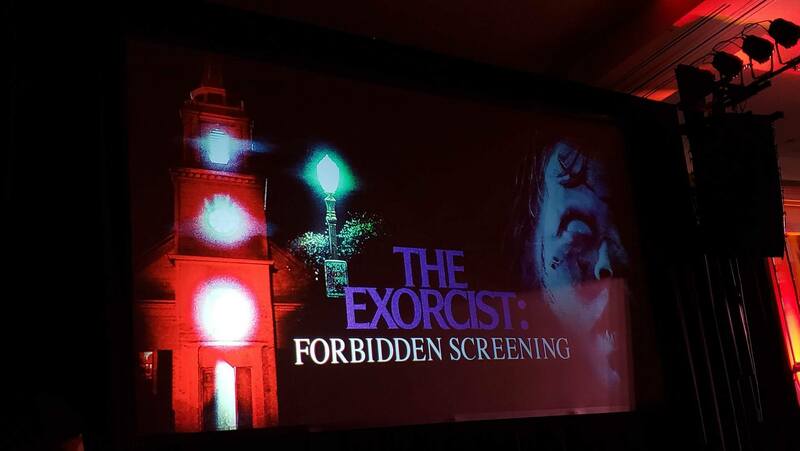 Plus, The Exorcist will be making an appearance, but not as a maze. Instead, it will be a show of the scariest moments of the film, dubbed “The Exorcist: Forbidden Screening” about 8 minutes long with some “4-D” elements timed alongside the video. How intense that will become remains to be seen. 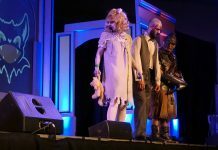 There will also be a Tribute to Tim Burton inside Stage 48, featuring Beetlejuice props for the first time ever, along with other props from the Corpse Bride, Mars Attacks! and more movies that came from his twisted mind. Tickets go on sale on August 1st, and it will take place over 13 nights.